An educated customer can be a partner in innovation. 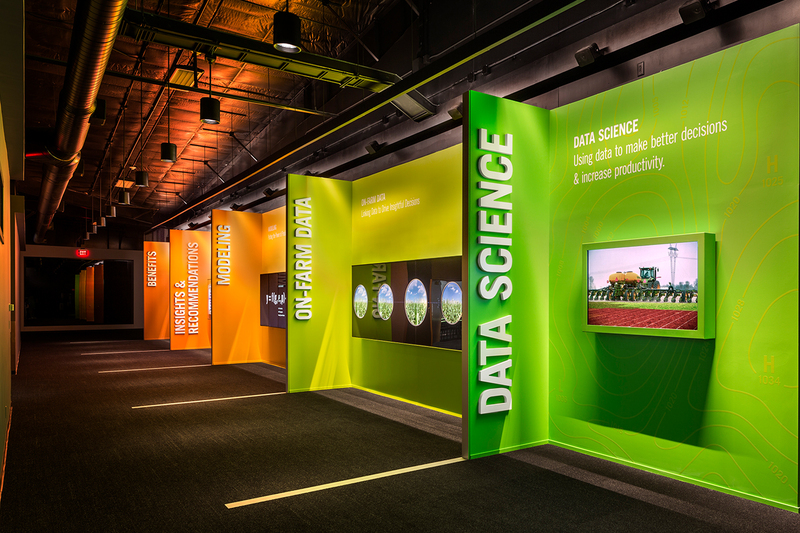 That philosophy inspires Monsanto’s Huxley Learning Center in Iowa. Spagnola & Associates designed the 7,000 sq. ft. facility, crafting an environment at once welcoming and stimulating. 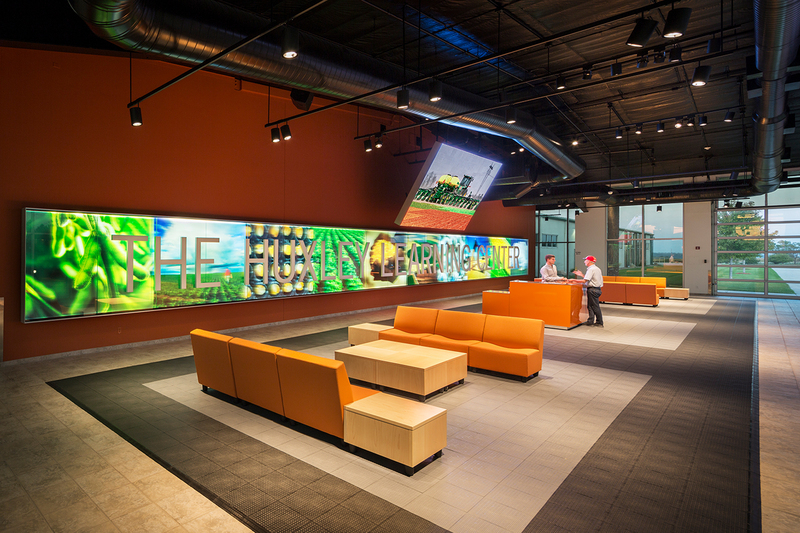 The Learning Center’s lobby sets the tone with an extraordinary 80-foot light box spanning one wall, which serves as a colorful “table of contents” spotlighting Monsanto’s products and technologies. 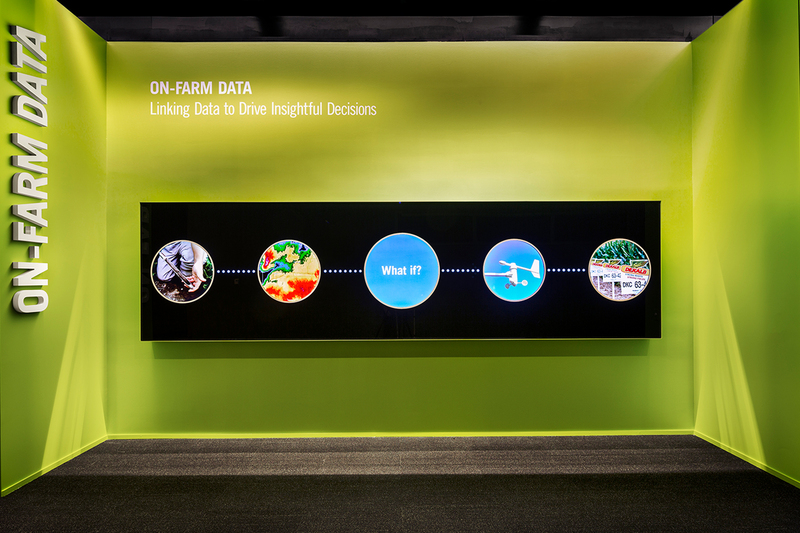 From there, some 4,000 visitors annually–primarily farmers – embark on a self-guided tour through a linear series of exhibit modules. 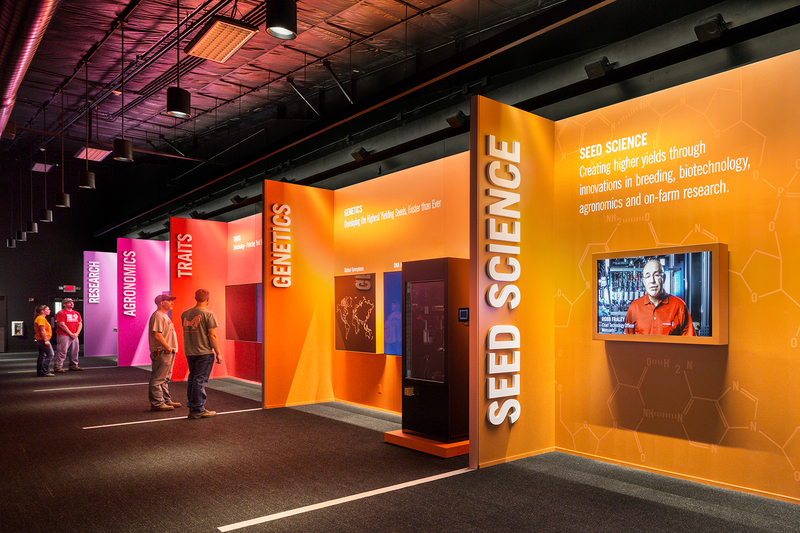 Each bay along the path focuses on a particular aspect of seed science and genetics, precision equipment to improve planting efficiency, data science, or computer modeling. 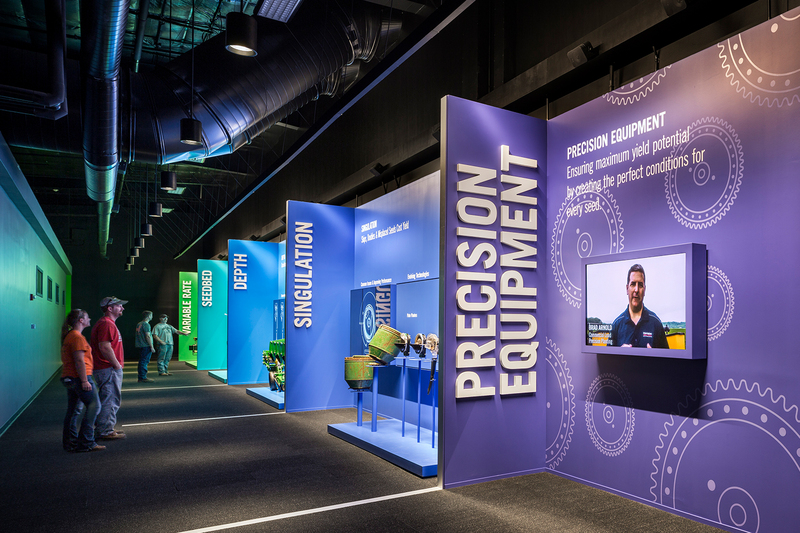 In addition to designing the public spaces and exhibition, Spagnola & Associates oversaw the process of gathering content information, organizing exhibition topics, and art directing the media, animation, and voiceover narration for more than 60 monitors.